Hand Chord emulates classic bar chords used in thousands of songs. You play full bar chords without even touching the strings. Please watch the video for more info. It takes away the pain and frustration, no more hurting fingers just a soft cushy rubber feel. It's also a shortcut for people who don't have the time to learn guitar and can also be a gateway for people learning guitar to help them concentrate on strumming and getting a feel for playing - without months of practice. It also has fantastic potential for people with physical disabilities, arthritis and people with reduced hand strength or coordination. No complicated fingerings to memorize no more calluses or blisters, For the first time play with long finger nails. Line it up on the strings squeeze it to the neck and strum, sightly lift off and slide it to the next chord. The number one reason people give up playing guitar is because of finger pain, hand chord takes away the pain and frustration, no more hurting fingers just a soft cushy rubber feel. It's also a shortcut for people who don't have the time to learn guitar and can also be a gateway for people learning guitar to help them concentrate on strumming and getting a feel for playing guitar without months of practice. It also has fantastic potential for people with physical disabilities, arthritis and people with reduced hand strength or coordination. 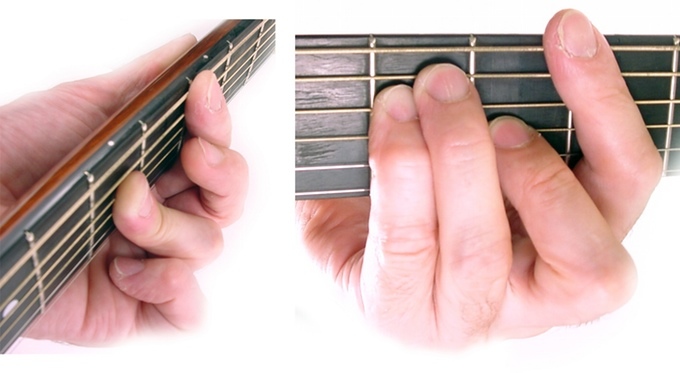 No complicated fingerings to memorize no more calluses or blisters, For the first time play with long finger nails. Line it up on the strings squeeze it to the neck and strum, sightly lift off and slide it to the next chord. Play basic versions of you favorite cover songs by artists like Jimmy Buffet, Otis Redding, Bruno Mars Taylor Swift, Johnny Cash and many more, or write your own songs or just blow off steam and jam! 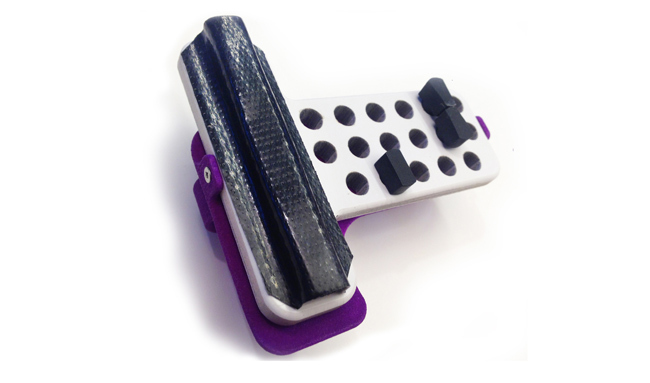 The patent pending design has a easy glide radius-ed pad that fits your neck so you exert minimal finger pressure. 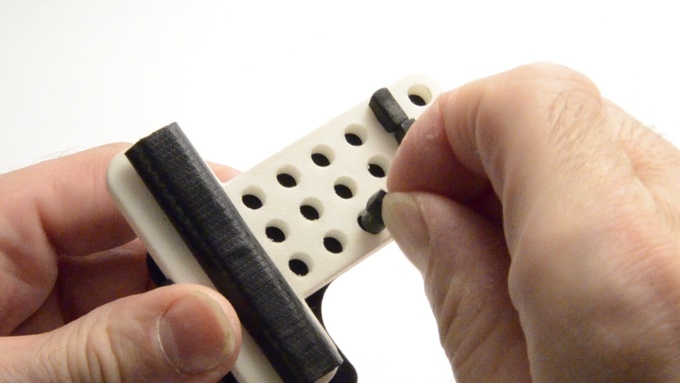 The rubber fretters are adjustable so you can play dozens of different chords. 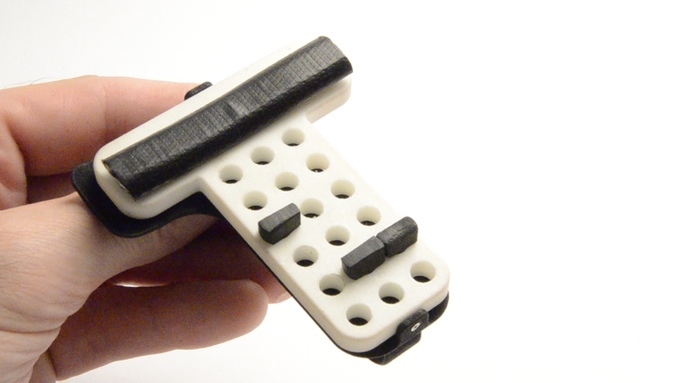 The modular design allows you to reverse everything for Left handed players (note the finger tongue rest does not reverse but it will still work for a lefty just a little less comfortable) You can swap out components like the extra large handle for bigger hands. We will take a poll with the supporters to see what color the handles will be, the prototypes in the video are red, blue, black and purple, I think the fretter frame should be white to make it easier to see where the fretters contact the strings. 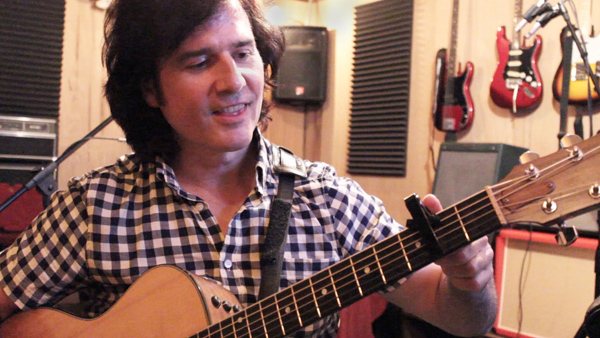 I am Scott Stenten a professional guitarist, creator of the Ergonomic Touchpad and inventor of capo clips and that is where the idea for hand chord was born. 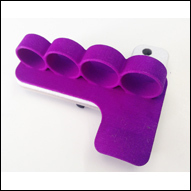 You can even combine hand chord and capo clips turning your guitar into a high performance power chord machine!